The angel whom I saw standing on the sea and on the land raised up his hand to heaven and swore by Him who lives forever and ever, who created heaven and the things that are in it, the earth and the things that are in it, and the sea and the things that are in it, that there should be delay no longer, but in the days of the sounding of the seventh angel, when he is about to sound, the mystery of God would be finished, as He declared to His servants the prophets. 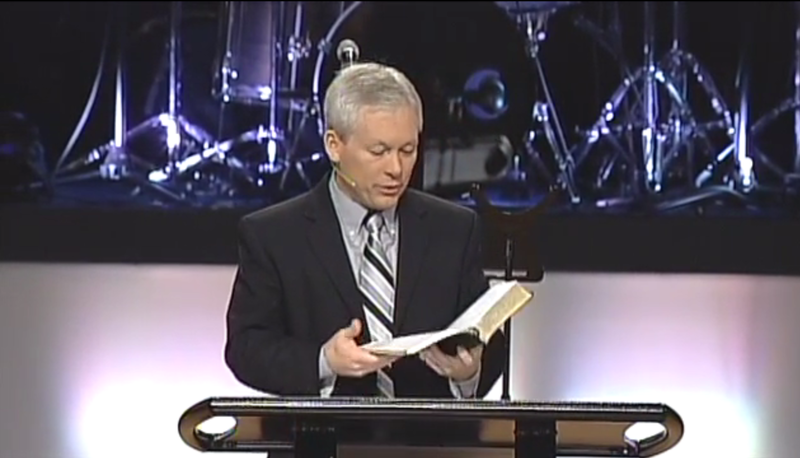 The Mighty Angel and the Little Book, Part 1 - Dr. Danny Forshee - January 18, 2015 from Great Hills Baptist Church on Vimeo. Wouldn't you be mad if you were God?!? The same God who created it is going to consummate it!!! "Also you shall have a place outside the camp, where you may go out;"
Will $20 million plan turn more Austin sludge into compost? 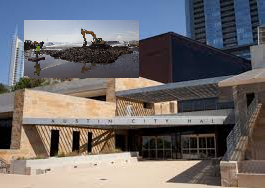 The Austin City Council got its first look Wednesday at the city staff’s proposed 2016-17 budget, which includes $56 million in increased general fund spending, 435 new employees citywide and a tax and fee structure that will add $150 to the average homeowner’s annual expenses. Deputy Chief Financial Officer Ed Van Eenoo described the budget as “scrambling to try to keep pace” with a city population that is expected to hit 937,065 in 2017, up from 842,743 three years ago. Though the city’s tax rate is projected to be lower than last year, rising property values mean the bill for property owners will be higher, even with an increased homestead exemption approved last month. The proposed tax rate of 44 cents per $100 of property value is as high as the city can make it without possibly triggering an election. City Manager Marc Ott told the council that an abundance of spending and committed funds had made this budget tighter than others in recent years. The typical homeowner would pay $44 more a year in city property taxes, under the proposed budget unveiled Wednesday. Mayor Steve Adler, who didn’t attend Wednesday’s budget workshop but spoke to reporters via phone from the Democratic convention in Philadelphia, called it a “good initial place to start,” but he emphasized that the council would certainly make changes. The proposed budget includes increases to all city fees, utility charges and property tax bills. The owner of a home with a taxable value of $278,741 (the average in the city) would pay $44 more in property taxes. Monthly water and garbage rates, utility fees and drainage fees would also go up. The city’s staff estimated the total increase in taxes and fees for an average Austinite would be $150, a 4 percent increase. Homeowners could have faced an even larger property tax bill if the council hadn’t voted last month to increase the homestead exemption to knock 8 percent off the value of a home for tax purposes, up from 6 percent this year. That change is expected to shave $23 off the typical homeowner’s tax bill. Translation: Ott and Adler are playing Bad Cop/Good Cop. Ott is proposing something so far out in left field that even council balks. Then Adler plays the hero with a "more reasonable" spending hike and everyone is supposed to sing kumbaya. This is one of the oldest games in the book. And, keep in mind, this is on top of Austin ISD's obscene budget. But others said rising taxes were too much of a squeeze already, and the exemption was a little relief. Ingle added that a proposed $720 million transportation bond could further add to homeowners’ bills. If voters approve the bond in November, it would incrementally add 2 cents to the property tax rate starting in 2018. Early estimates put the cost at nearly $60 a year for the typical homeowner. Bottom Line: We'll see what happens during August, but if you know how to read between the lines, this is not a good sign. The Death and Life of Great American Cities. by Jane Jacobs, is the most challenging book we've read in some time. Written in 1961, the book details the failures of 'urban planning' wrought by the bureaucrats of that era. Sadly, many of those attitudes have not only persisted among policy makers, it has expanded and become more entrenched. All of Jacobs' predictions have, unfortunately, come to pass. At the same time, however, Jacobs investigates and presents common traits of successful urban areas. The problem is finding political will to implement them. The final result is a product that, regardless of the political preconceptions one brings to the effort, will confirm some while rocking others to the core. The biggest takeaway from Jacobs is that successful cities emerge from spontaneous order, not central planning. Jacobs is SCATHING towards the ethos of the latter that, unfortunately, prevails to this day. She decries a system where, "[O]nly supermen could understand a great city as a total, or as whole groups of districts, in the detail that is needed for guiding constructive actions and for avoiding unwitting, gratuitous, destructive actions" (410). Residents of urban neighborhood are victimized by bureaucrats who "too often, we believe, make decisions about it from desks downtown" (122). Even worse, "[E]xtraordinary governmental financial incentives have been required to achieve this degree of monotony, sterility, and vulgarity" (7). Ouch. And that's a small sample. The biggest area where we were personally challenged was sidewalks. In Jacobs' view, lively sidewalks are so essential to urban vitality that she devotes three chapters to the subject. A widely used network of sidewalks is the foundation of public safety. As Jacobs explains, safety is "kept primarily by an intricate, almost unconscious, network of voluntary controls" (32). When people use a city street for daily activity, it begets a sufficient number of eyes and ears to maintain public safety. In the context of a city like Austin, which has a sidewalk deficit stretching back decades, this example illustrates how a modest expenditure on sidewalks could have an additional benefit beyond mobility. Another critical component of successful streets is multiple uses over the course of the day. Jacobs explains: "[T]he continuity of this movement (which gives the street its safety) depends on an economic foundation of basic mixed uses" (135). For example, this concept would encourage the integration of residential and commercial uses over segregation via zoning laws. When businesses serve their customers, in addition to the obvious economic benefits, it simultaneously creates a level of foot traffic that keeps residents safe. And that's before we discuss the convenience factor we discuss the convenience factor of completing daily tasks within a short distance. Speaking of zoning, another fun discussion was land-use restrictions for commercial locations. Long story short: zoning restrictions create barriers to entry where competitive ecosystems had previously flourished. This might be the greatest sentence of all time: "This protection -- which is nothing less than commercial monopoly -- is considered very 'progressive' in planning circles" (195). To put it mildly, this website has no use for the legacy of either Herbert Hoover or Franklin Roosevelt. That's not to say, however, that density is a magic bullet. Jacobs: "to assume that this is 'the' answer would be to oversimplify outrageously" (204). To have a central planner decree 'let there be density' and dedicate large sums of money for this purpose would invite the same dangers giving central planners large sums of money always invites. Instead, density should be encouraged over time, "densities should be raised...gradually rather than in some sudden, cataclysmic upheaval to be followed by nothing more for decades" (216); in other words, spontaneous order over central planning. 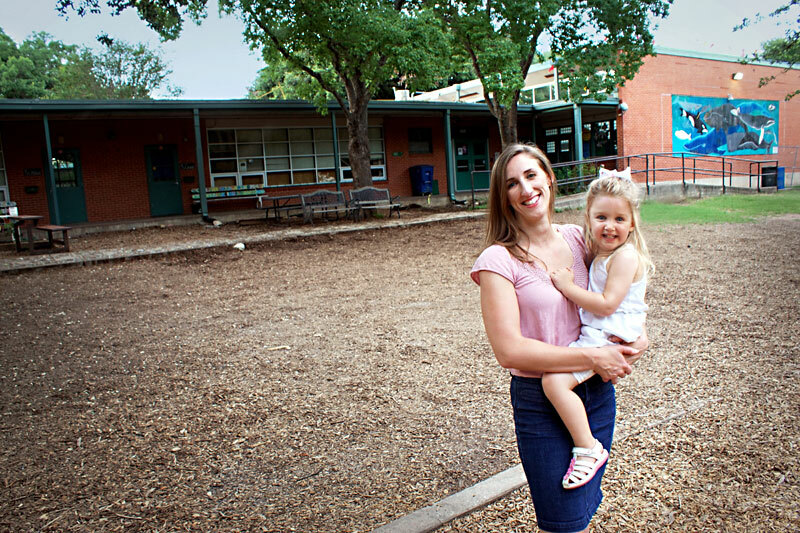 Schools can't create 'good neighborhoods' (113). A successful neighborhood has to be big and powerful enough to fight city hall (122). The project that ultimately became the World Trade Center was doomed from the start (157). "Public policy cannot directly inject private enterprise" (167). Old buildings allow businesses that can't support new construction to be economically viable (188). Cities are incubators of new industry (197); thus, it's completely natural for businesses to be in the city during their startup phase and move to the suburbs as they mature and need more space. "The problem with paternalists is that they want to make impossibly profound changes and they choose impossibly superficial means for doing so" (271). Allowing neighborhoods to gradually 'unslum' on their own doesn't make special interests rich (288). The federal tax code encourages slumlords (316). Corruption gets "more inventive" over time (355). Food trucks can add tremendous neighborhood diversity at minimal cost (396). An online review cannot do this book justice. It's taken a month to collect our thoughts to this point. 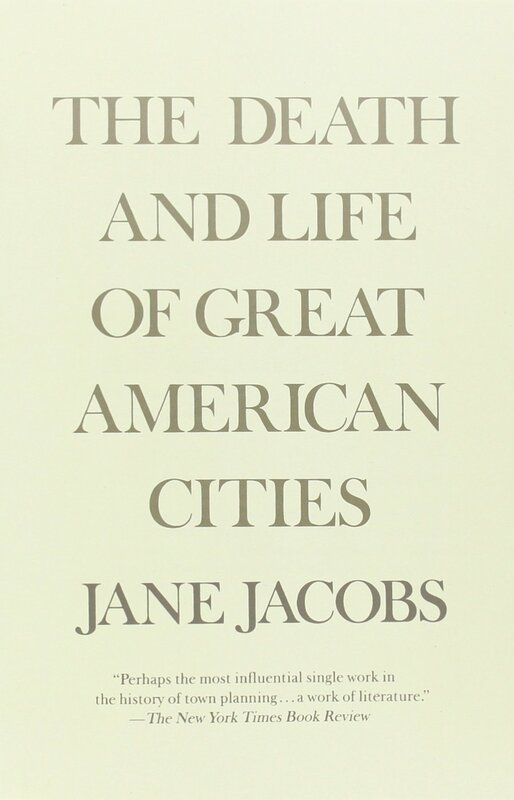 Read The Death and Life of Great American Cities for yourself with an open mind and an understanding that Jacobs doesn't fall neatly along the left/right spectrum. Last fall, citizens in Navarro County organized a protest against their incumbent State Rep. Byron Cook (R-Corsicana) and asked Empower Texans, Texas Right to Life and others to join in. We stood out at Corsicana’s country club and waved signs in the rain, highlighting Cook’s record protecting illegal aliens and attacking the sanctity of life. Former Corsicana Police Chief Randy Bratton Former Corsicana Police Chief Randy Bratton Unhappy with his lobby cartel donors having to drive past such a display, Cook and his political team coordinated with the city police to disrupt the gathering. The police were clearly uneasy with the task – though the chief of police at one point threatened to arrest me if the crowd didn’t disperse. At the end of the day, the police issued citations to me and Texas Right to Life’s president, Jim Graham. The charge? Holding an illegal parade. And revive me in Your way." A taxpayer-funded hospital district is hoping to expand an already existing violation of property rights by extending a previous ill-conceived municipal “smoking ban” to include all public outdoor patios — effectively criminalizing smoking (and vaping) in all public businesses. The initiative comes from Austin’s Central Health, a publically funded hospital district in Travis County. Central Health’s Communication Director Ted Burton expects the initiative to come before Austin City Council between November and January — pending a councilmember sponsoring the initiative to bring it before council. Once the issue is brought up, it will require 3/4ths of councilmembers’ approval in order to be adopted. Austin narrowly approved (by a 52% margin) the initial smoking ban back in 2005 — which removed a bar owners’ right to choose whether or not their establishment allowed smoking and imposed a blanket ban of indoor smoking in all public spaces. Adapting to the new regulations, property owners established ‘smoking patios’ to accommodate customers who smoke. Obviously, this idea is dangerous and misguided. We recommend Greg's piece in full for the policy ramifications. We want to focus on something else. If council chooses to go down this path, it will be yet another controversy that accomplishes nothing (ie. like Uber/Lyft and Short Term Rentals). But the good news is that nothing has happened as of yet. If council keeps it that way, they still have an opportunity to avoid inflaming the community. Bottom Line: Remember what we said about "the other group of arrogant jerks." #ATXCouncil District 7: Natalie Gauldin's PROMISING Launch!!! 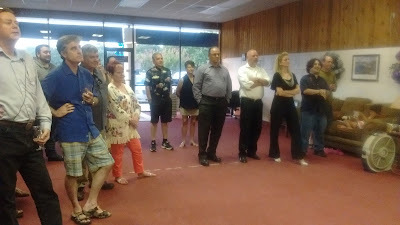 We recently attended Natalie Gauldin's campaign launch party for council district 7. We followed that up with an extended telephone conversation. We don't expect to agree with her on everything, but we have substantial overlap on the biggest issues Austin will face over the next few years. The biggest issue where we agree is housing and land use. The biggest reason why housing costs in Austin have exploded in recent years are NIMBY-style restrictions that prohibit construction in the urban core. This restricts the supply of housing (which increases the cost) while simultaneously pushing what construction does occur to the perimeter (which, of course, begets traffic). Gauldin wants to expand 'opportunities and options' for land use. She wants to lower housing costs by increasing property rights. As one example, she wants to lift lot-size restrictions that incentivize building McMansions instead of multi-unit residences in the urban core. She has recently led an effort to secure new construction in central Austin and also helped reduce restrictions on 'granny flats.' In other words, her record includes tangible steps in the right direction. Gauldin's priorities on council will be affordability and transportation...which segued into our discussion of technological regulation. Council's actions over the last year related to Uber/Lyft and Short Term rentals were a distraction from her priorities. Gauldin opposes both. As future cases emerge, she would need to see meaningful public demand for regulation and data that proves the regulations in question would achieve their intended purpose before she would consider it. This is a remarkably refreshing perspective for a member of the Austin city council. In discussing taxes, without prompting she brought up the fact that 'fees' on Austin energy bills are actually hidden taxes. She didn't know it when she brought it up, but that's actually one of our gigantic pet peeves in local governance. On property taxes, she is unenthusiastic about expanding a homestead exemption that ignores the hidden tax burden on renters, but she wants to discuss more meaningful reductions in the tax rate. We also discussed various scenarios for reforming the city bureaucracy. We were pleased to learn she believes the city staff should serve the priorities set by the elected council, not the other way around. This stands in contrast to an incumbent who has been a rubber stamp for the bureaucracy and voted to give the city manager a raise. Speaking of the incumbent, did we mention that Natalie Gauldin is challenging Leslie Pool?!? That, by itself, should tell readers everything the need to know. We'd rather discuss the challenger's positives than the incumbent's negatives, but we can go there as necessary. That's not to say we agree with Natalie Gauldin universally. She has a higher opinion of the viability of bike trails and rail than this website. That being said, her views on issues like bike trails and rail make her a better fit for the district. Bottom Line: Housing costs and land use regulation are the biggest issue council must confront in coming years. We cannot address Austin's affordability challenges unless we tackle housing. While we do not expect do agree with her across the board, the early signs on the most important issues are highly encouraging. Revelation 9:13-21 -- The SIXTH Trumpet Judgement!!! Then the sixth angel sounded: And I heard a voice from the four horns of the golden altar which is before God, saying to the sixth angel who had the trumpet, “Release the four angels who are bound at the great river Euphrates.” So the four angels, who had been prepared for the hour and day and month and year, were released to kill a third of mankind. Now the number of the army of the horsemen was two hundred million; I heard the number of them. And thus I saw the horses in the vision: those who sat on them had breastplates of fiery red, hyacinth blue, and sulfur yellow; and the heads of the horses were like the heads of lions; and out of their mouths came fire, smoke, and brimstone. By these three plagues a third of mankind was killed—by the fire and the smoke and the brimstone which came out of their mouths. For their power is in their mouth and in their tails; for their tails are like serpents, having heads; and with them they do harm. The Sixth Trumpet Judgment - Dr. Danny Forshee - December 14, 2014 from Great Hills Baptist Church on Vimeo. There weren't even 200 million people on Earth when John originally wrote Revelation. Illustration of why it describes future events. Biblical scholars disagree on whether the 200 million man Army is demonic or human. The Devil is an expert at convincing people that what he offers is better than what God has to offer. All the forces of history are under God's sovereign control. Texas Gov. 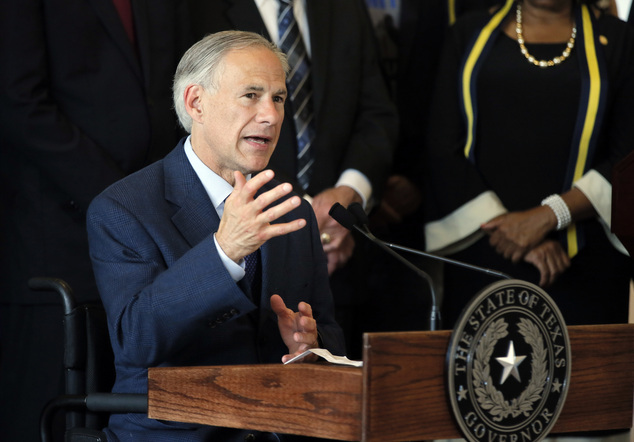 Greg Abbott is asking state lawmakers to make it a hate crime to target police officers. "You have a governor who has your back," Gov. Abbott told law enforcement last week, during a televised media conference the day after five officers were murdered in Dallas by a man deliberately targeting white officers. Following the targeted killing of three more officers next door in Louisiana, Abbott announced a proposal Monday to make it a hate crime to attack law enforcement out of bias against police. The "Police Protection Act" would also increase penalties for crimes against officers and create an education program to encourage respect for officers among youth. "Texas will no longer tolerate disrespect for those who serve," Abbott wrote in a statement Monday, "And it must be made to clear to anyone targeting our law enforcement officials that their actions will be met with severe justice." The abstract level: "Hate Crimes" laws are wildly unconstitutional and nothing good can come from this sort of expansion of government power, even to cover groups we like. The practical level: While recent events in Dallas were horrific, the shooter is already dead. Furthermore, even if he had been captured alive, he would have already been eligible for the death penalty. There is no way anything Abbott is proposing could have prevented what happened in Dallas. Draft legislation by Dallas state Rep. Jason Villalba (R-Dallas) would add discrimination against police and first responders to the hate crime section of the Code of Criminal Procedure, which currently includes prejudice based on "race, color, disability, religion, national origin or ancestry, age, gender, or sexual preference." "We'd like to see it go a step further, so that the D.A. has to seek the death penalty in every case where an officer is killed." In other words, we want to expand the scope of a poorly written statute while removing all discretion about how to interpret it when the inevitable case comes up that falls under its purview in a way we do not anticipate. And all this despite the fact that anyone who kills a cop in Texas is already eligible for the death penalty as long as we enforce the laws that are already on the books. To learn more about the unintended consequences of "hate crimes" laws, click here. As many as 1,743 votes from the March Republican primary are unaccounted for in a small Texas county that was home to a close — and closely watched — House race, prompting a request for a state investigation. Documents show several votes were counted more than once in the Hill County primary tabulation, including one that was counted as many as four times, the secretary of state's office said in a letter to the attorney general's office. 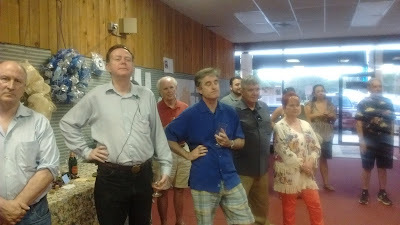 Hill County was one of several in a competitive race between Rep. Byron Cook, R-Corsicana, and challenger Thomas McNutt. Cook, a top lieutenant to House Speaker Joe Straus, won by about 200 votes. Macias called the election irregularities "substantial." "If an explanation was easily providable, I think it would be provided and the secretary of state would not have to get involved," Macias said. "If corrected, it could potentially affect every single race in Hill County." A campaign aide to Cook has not yet returned a call seeking comment. Brandon Rottinghaus, a political science professor at the University of Houston, said 1,700 votes was an unusually large discrepancy. 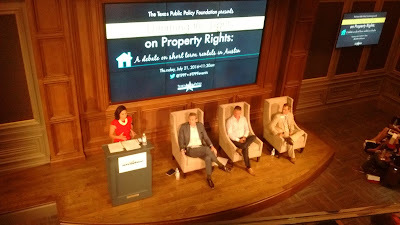 This afternoon, TPPF hosted Dimming the Lights on Property Rights: A Debate on Short Term Rentals in Austin, but the most revealing moment came last week. That was when representatives from 50 separate "neighborhood" organizations declined to participate following the Austin "Neighborhoods" Council last minute pullout. That nobody in Austin's NIMBY community came forward to defend this monstrosity really does tell you everything you need to know. As to the substance of today's discussion, it mostly re-hashed things we already knew. Chance Weldon, TPPF's lawyer against the City of Austin, explained that you don't surrender your constitutional rights based upon how you set up your living arraignments. A representative from the hotel industry made the same sort of "level playing field" arguments incumbent industries always make, but neglected to suggest de-regulating his own industry until he was asked about it during Q&A. It's also worth re-stating that the alleged concerns related to 'party houses' that led to this mess could have been solved by enforcing noise ordinances that were already on the books. Furthermore, short-term rentals have received fewer than 100 noise complaints ever. When code compliance fails to enforce the current laws giving them a new grant of unconstitutional authority seems, to put it mildly, odd. But maybe that's why nobody from the "neighborhood community" showed up to defend this abomination. 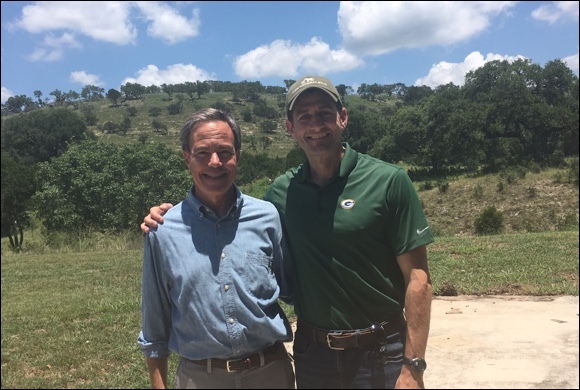 House Speaker Joe Straus is poised to appoint to the Texas Ethics Commission a Democrat who believes it is time to “dismantle the NRA” and who has compared the 2nd Amendment organization to the terrorist group ISIS. According to records obtained by Texas Scorecard, Austin divorce attorney and far-left activist Anne Wynne is telling Democratic legislators that Straus has agreed to appoint her to the Texas Ethics Commission (TEC). In an email to staffers for Austin Democrats Celia Israel and Donna Howard, Wynne says that at Straus’ request she will be replacing Paul Hobby, a Houston Democrat and former chairman of the TEC. Hobby has continued to serve on the commission despite his term expiring eight months ago. Hobby’s tenure on the TEC has been highly controversial. He has pushed the commission to implement draconian regulations designed to suppress the free speech rights of citizens. The regulations have spawned a series of lawsuits from conservative organizations that are fighting to defend the First Amendment. @JasonEmbry Does this mean she's not under consideration?!? [Author's Note: It's now been over 24 hours and Embry still hasn't replied]. Through media surrogates, Straus is now claiming that no one has been tapped to replace outgoing TEC commissioner Paul Hobby, and that the search for his replacement has not even begun. But that narrative is refuted by the records obtained by Texas Scorecard, which include statements by Capitol staff and Wynne herself that assert she was tapped to replace Hobby. It is obvious that some informal discussions between Hobby, Straus, the Democrats, and Anne Wynne were taking place in May. In fact, it appears likely from the emails that Straus or his staff directed Wynne to have Howard or Israel recommend her name to his office so that he could proceed in appointing her to the vacancy. Now that Wynne has been revealed to be an anti-gun extremist who would likely use the power of the TEC to try to “dismantle” the NRA and other conservative groups, one would assume that Straus will no longer be able to move forward with her appointment. But the evidence is clear that Wynne believed she was set to be appointed to the commission and was telling Democratic offices as much in May. After being caught preparing to appoint to the Texas Ethics Commission an extreme opponent of the Second Amendment who has called for the dismantling of the National Rifle Association, the Texas House Republican Caucus is claiming that Speaker of the Texas House Joe Straus has not yet finalized that appointment. In an unattributed statement issued late Tuesday afternoon, the caucus noted that unnamed caucus representatives had communicated with unnamed persons in Straus’ office and been assured that Straus has not yet appointed the anti-NRA zealot Anne Wynne to the TEC. But words are important, and so is silence. While some members of the Texas House GOP caucus are subtly claiming Straus will no longer appoint Wynne, Straus himself has said nothing. The GOP caucus says they “have great confidence” in Straus’ ability to pick “the best” Democrat. This should leave Texans wondering what their – and Joe Straus’ – definition of “best” might be. Straus’ record inspires little confidence that his pick will be one who respects the freedoms of speech and political association. But now, by their unsigned words, the Republican Caucus officially owns that appointee, and the rules and decisions that appointee adopts. Bottom Line: The GOP conference's statement was the tell. If there was nothing to this story, they would have ignored it. Team Straus got sloppy and got caught. Texans who are arrested for possessing small amounts of marijuana shouldn’t be locked out of jobs and haunted by minor lapses in judgment for the rest of their lives, business and legislative leaders say. As acceptance of marijuana — medical and otherwise — grows nationally and in Texas, members of both major political parties in the Legislature have staked out positions supporting the decriminalization of possession of small amounts of marijuana. The proposed change could be beneficial for Texas businesses, proponents have said. State Rep. Jason Isaac, R-Dripping Springs, told the American-Statesman that too many Texans have missed out on jobs because of criminal records that involve nonviolent drug charges. Isaac said he plans to support decriminalization bills in the upcoming legislative session, which will begin in January, to make sure more Texans can get jobs and not face a lifetime with the stigma of a criminal conviction. For college presidents and chancellors, it pays to work in Texas. The Chronicle of Higher Education on Sunday released its annual list of public university executive pay. Three of the nation's top four highest paid university presidents or chancellors work for Texas schools, according to the report. 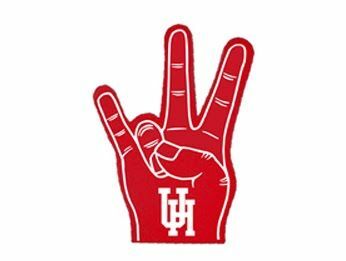 University of Houston System Chancellor Renu Khator earned the most in the country, making $1.3 million in total compensation. Texas A&M University President Michael K. Young came in third at $1.13 million and University of Texas System Chancellor Bill McRaven was fourth with $1.09 million. We're astonished McRaven isn't the most egregious offender; read the whole thing here. With the next legislative session about six months away, I'm working with other state leaders to make sure Texas continues to live within its means. I recently joined with other state leaders to instruct state agencies to prepare for a 4 percent reduction in their operating revenues. These instructions will require agencies to highlight their most important expenditures and contemplate how they could operate more efficiently. We also issued these instructions in order to guard against unneeded growth in our state budget and to provide a responsible starting point for the process of writing the state's next two-year budget. Bottom Line: Whatever his motivation, for Straus go out of his way to preach fiscal restraint can only be interpreted as a (modestly) positive sign. Author's Note: For purposes of comparison, here's what Straus was preaching during a similar economic climate five years ago. Then the fifth angel sounded: And I saw a star fallen from heaven to the earth. To him was given the key to the bottomless pit. And he opened the bottomless pit, and smoke arose out of the pit like the smoke of a great furnace. So the sun and the air were darkened because of the smoke of the pit. Then out of the smoke locusts came upon the earth. And to them was given power, as the scorpions of the earth have power. They were commanded not to harm the grass of the earth, or any green thing, or any tree, but only those men who do not have the seal of God on their foreheads. And they were not given authority to kill them, but to torment them for five months. Their torment was like the torment of a scorpion when it strikes a man. In those days men will seek death and will not find it; they will desire to die, and death will flee from them. The shape of the locusts was like horses prepared for battle. On their heads were crowns of something like gold, and their faces were like the faces of men. They had hair like women’s hair, and their teeth were like lions’ teeth. And they had breastplates like breastplates of iron, and the sound of their wings was like the sound of chariots with many horses running into battle. They had tails like scorpions, and there were stings in their tails. Their power was to hurt men five months. And they had as king over them the angel of the bottomless pit, whose name in Hebrew is Abaddon, but in Greek he has the name Apollyon. 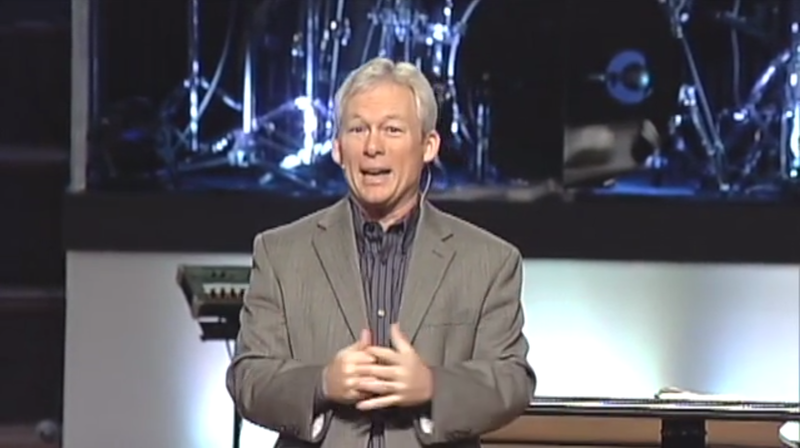 The Fifth Trumpet Judgment - Dr. Danny Forshee - November 30, 2014 from Great Hills Baptist Church on Vimeo. 3.5 years have passed during the tribulation. The determination of man, even in the midst of tremendous hardship, to NOT submit to God; like Pharoh of old, man's heart becomes harder and more stubborn. 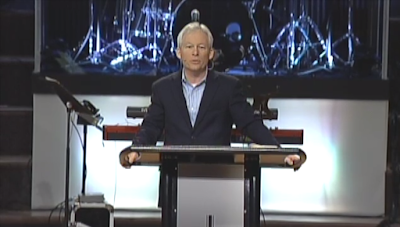 A time when God uses everything, including the devil, to achieve His purposes. 12th of the 21 tribulation judgments. Surely, if there is a devil in hell, there must be a God in Heaven. "I really think Tolken must have read Revelation 9." No matter how difficult it gets, God always wins! Zimmerman poised to test "Konni Burton Theorem"
We have recently developed an informal hypothesis. We've dubbed it the "Konni Burton theorem." It goes like this: In swing districts, credible advocates for limited government win where kumbaya-style moderates lose. In 2014, Konni Burton was elected to a Texas Senate seat in a Tarrant County swing district that was previously held by Wendy Davis (yes, THAT Wendy Davis). During that year's general election, Burton was such a strong advocate for limited government that she refused to endorse the Texas "Medical" Association's monopoly over liability insurance. Burton was successful in a district where moderates Mark Shelton and Kim Brimer had recently lost. We mention Konni Burton as a long winded introduction to the fact that we attended Don Zimmerman's Austin City Council re-election campaign kickoff party last night and we sense a similar phenomenon. 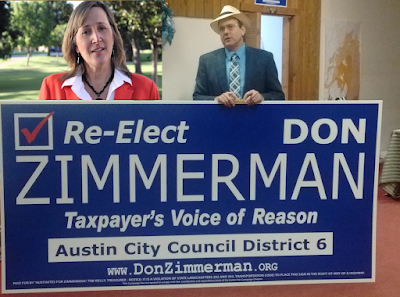 Obviously, Zimmerman has been an unapologetic advocate for economic liberty and tax relief during his time on Council. He leveraged his position on the dais to defeat the Travis County Courthouse bond. He also stopped a hostile annexation for the first time in city history. And, at least based on last night's turnout, Don has struck a chord in district 6. Several dozen people showed up over the course of the event, though we didn't think about doing an actual body count until after the fact. At a minimum, Zimmerman should have no trouble finding volunteers. As we wrote about Burton and Zimmerman back in January: "Burton and Zimmerman are the most prominent voices in their respective legislative bodies in opposition to corporate welfare and other forms of cronyism and rent-seeking (*). Both represent districts that are competitive in a general election. Burton and Zimmerman's success proves that disgust with rent-seeking for purposes of "economic development" extends beyond Republican primary voters into the general electorate." Bottom Line: We'll see what happens, but if Don Zimmerman ultimately wins re-election (especially in this climate), it will provide a lesson in how to win swing districts that others would be wise to emulate. Carl Smart OUT at #ATXCode!!! "Big Three" Letter Illustrates FEAR of TPPF!!! "I'm a Jewish Woman and I support King Ahab"